How it happened no-one knows. Lara with her crew decided to have an extremely dangerous journey to find an abandon city, that only exists in legends. Huge storm crushed her ship at the coast of Japan on island that no-one never heard. Lara wakes up at the coast full of rocks covered in blood and bruises. She has no idea if any member of her crew has survived. She looks around and doesn't see anyone and nothing besides the shipwreck. Fight for survival begins in a wild, hostile and unknown place. 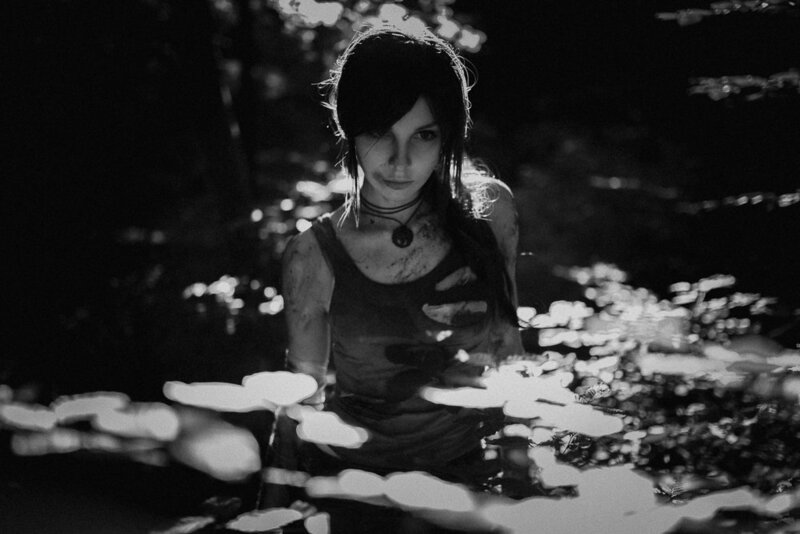 Lara walks through the dark forest and she comes across on the abandon camp. It doesn't look like the place, where they crew could have been, because she finds there handmade bow, quiver with arrows and used pickaxe. Lara takes the stuff and rest of the left food. She walks through the forest more carefully. Suddenly, she heard the rustle in trees. She pulls out her bow immediately. She breaths much faster very terrified. She tries to calm down. Lara looks at the place where the rustle was. Her hands shakes faster and faster. Out of sudden she heard the powerful roar right behind her back! She didn't even manage to turn around when she felt huge punch in her arm. She fell down on her face hitting forehead in the rock. She feels unconscious. She doesn't know where she is and when. She thinks about home, about her dad who lost his life in journey like this also looking for an abandon city. She thinks about death. Lara wonders if it's over, if she will die like her father. She looks at her arm and see a lot of blood coming out. Sight of blood makes Lara conscious again. She looks on the pickaxe lying on the ground in front of her. She tries to reach it immediately and she makes violent turn on her back. Lara sees huge Grizzly Bear standing straight on his two paws. The bear makes horrible loud roar and starting getting ready to the final attack. Lara squeezes her pickaxe very hardly to the chest and start crawling to the back. Grizzly attacks, but this time with his fangs. Lara swings with the pickaxe, makes loud scream and hits. It was an impuls, survival instinct. The bear falls down on her body. Lara hits in his temple causing his instant death or making him unconscious. She doesn't know. She only knows that she needs to run. She hardly breaths. Lara crawls from his heavy body and with no thinking picks up her weapons and start running. She runs as fast as she can, holding her arm which bleeds more and more. For her luck she's found the first aid kid in the abandoned camp earlier. Lara manages to stop the bleeding. Lara's desperation and helplessness turns into anger and determination. Her survival instinct wins. After short recovery she looks around and notices very high rock in the distance. 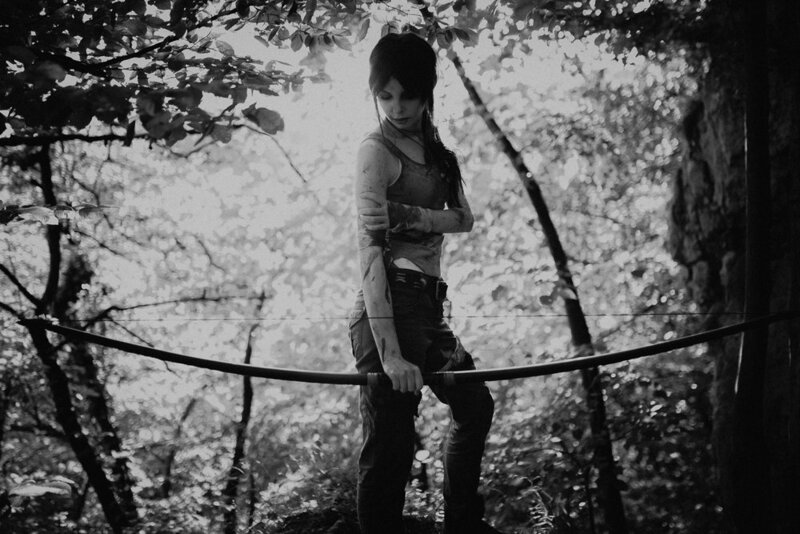 Lara decides to go there and climb. Maybe she will see her friends from there. Determinations loses with discouragement. It finally comes to her. 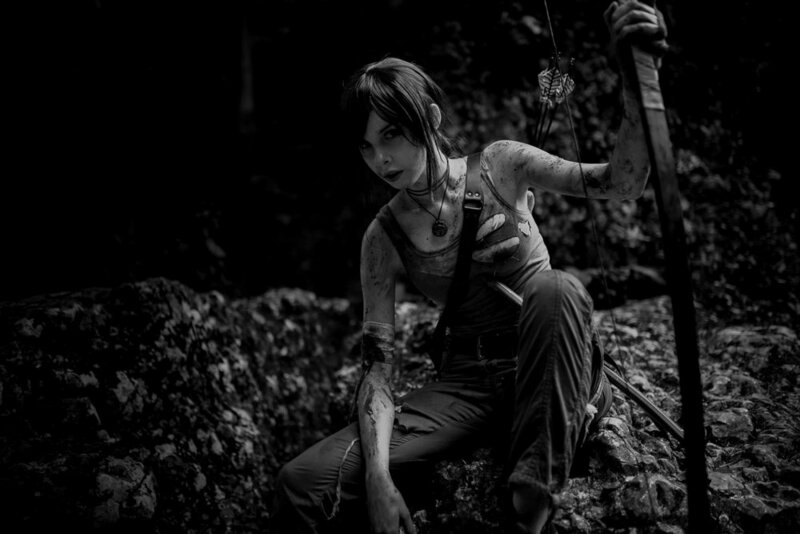 Lara realises that she totally alone in a huge jungle with no chances to being rescued. In the way down she notices the narrow entrance to the cave. She stops to check this. 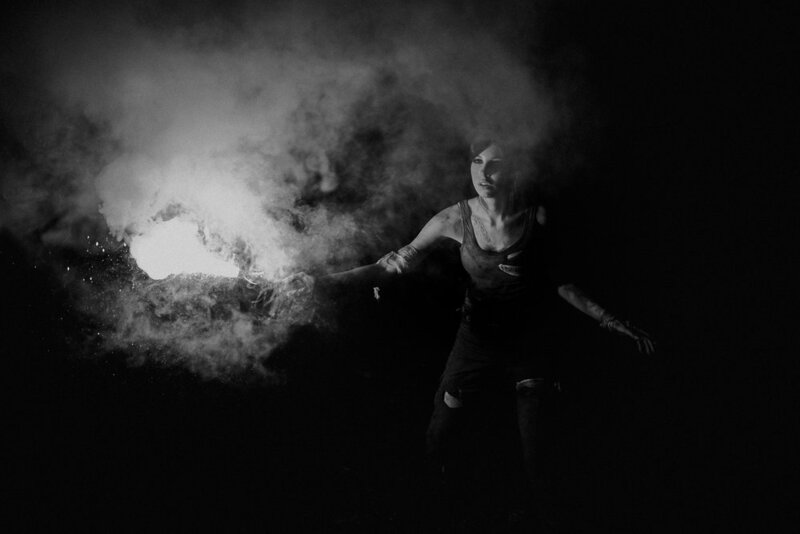 Lara right before the entrance sees a torch lying on the ground. Another sign of life. She starts feeling huge fear, because maybe that's someone who lives here and is hostile. The curiosity wins. She picks up the torch and starts exploring the cave. It was really dark in there. The last rays of the sun lights up slightly the inside. Lara sits on the rock to fix her bandage and to think what next. After a while she notices an empty bottle and bloated oil next to it. 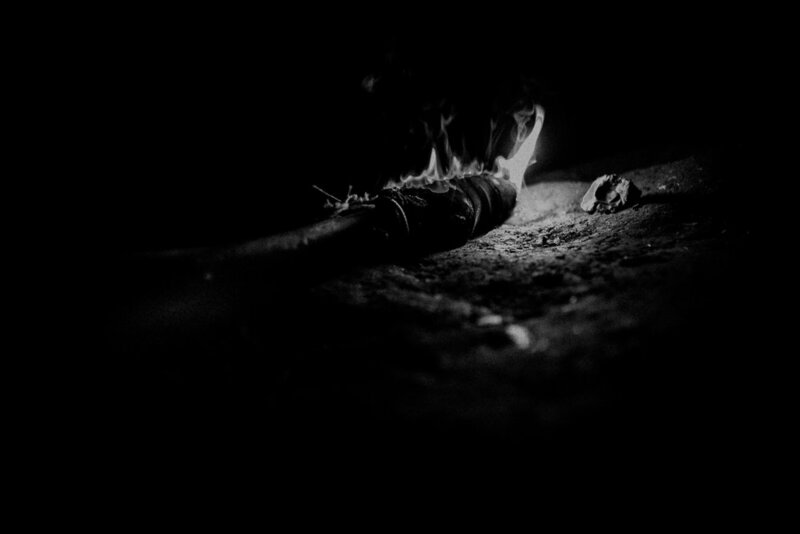 Without hesitation she soaks the torch in it and uses her last match to light it up. She realised that the cave is much bigger that she thought before. She starts exploring deeper. There lyes the sea weave on the ground. It was the sea weave from her ship! She believes that it could be someone from her crew. Suddenly she heard the sound of a lighter and steps by the entrance of the cave. Lara used the sea weave immediately trying to see who he is. She sees the man walking in her direction. Lara starts calling him. 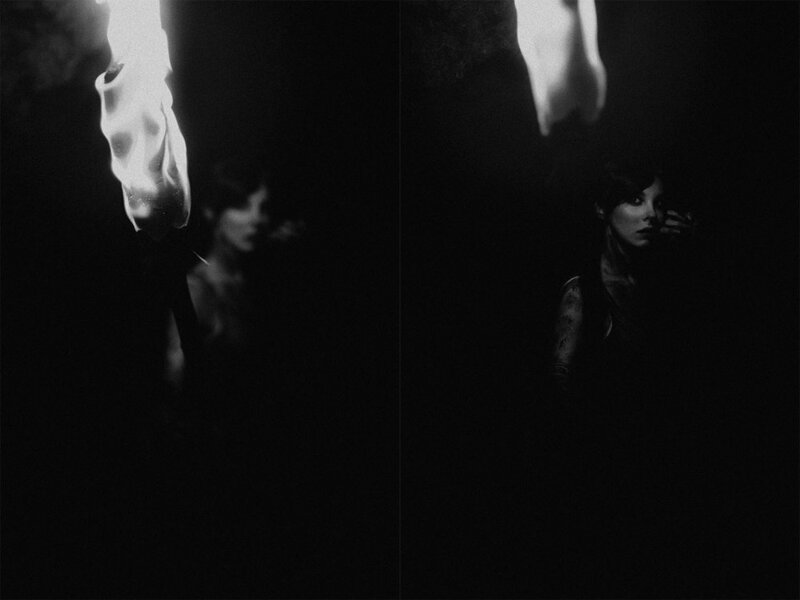 She raises up the torch to see his face.